Bacteria have been implicated in the pathogenesis of inflammatory bowel disease for several decades, beginning with conventional pathogens such as Shigella and amebae, and moving to the current, more “trendy” bacteria such as L-forms and mycoplasma. It is only natural to consider bacteria as potential culprits in these diseases, since the intestinal mucosa forms the fragile border between the flora of the lumen and the host’s tissues. In addition, the gut is threatened on a daily basis by microorganisms from the environment that gain passage through vehicles of food and drink. 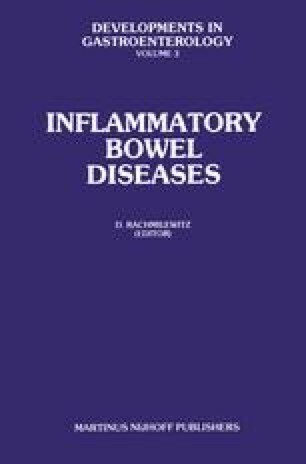 Besides these ecologic considerations, the histopathologic features of inflammatory bowel disease are strikingly reminiscent of conventional infectious diseases, albeit of an acute and self-limited nature. Ulcerative colitis is not unlike acute bacillary dysentery, while Crohn’s disease bears resemblance to intestinal tuberculosis and Yersinia infection.